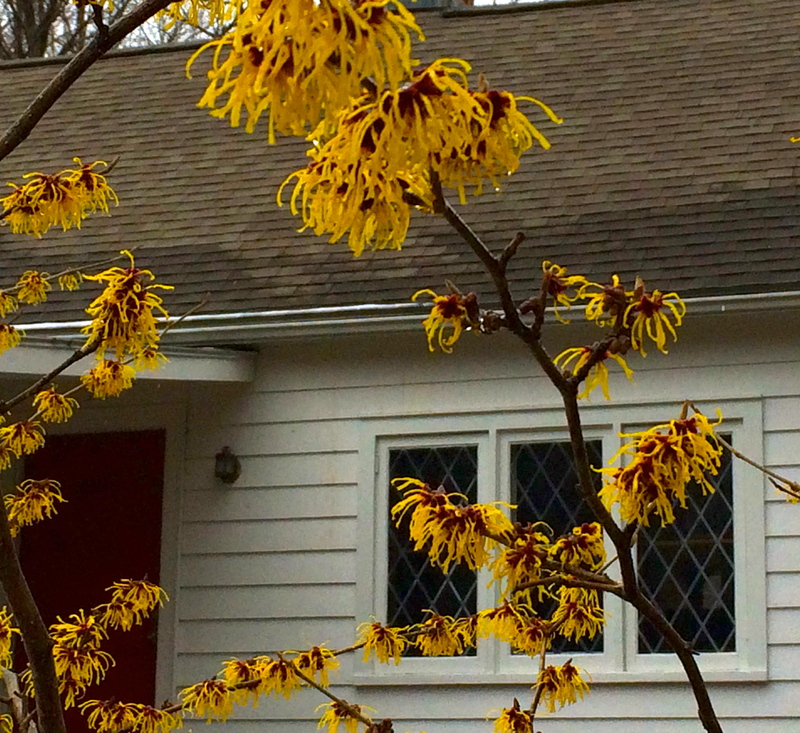 My witch hazel shrub is flowering — the blooms flamboyant bursts of yellow and red, like miniature pom poms, cheering on springtime’s long-delayed kick-off. Besides an almost imperceptible blur of red in the underbrush and a shimmer of gold among the willow wands, it’s the only bright color in our otherwise stubbornly monotone landscape. 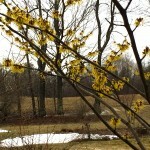 Witch hazels are native to America and perfectly at home in our rocky and unwelcoming southern New England soil. I planted mine four years ago in a hard-to-fill spot at the back of the long border —with too much shade and in dicey proximity to a stand of mature trees — but it’s settled in nicely without complaint or obvious problems. 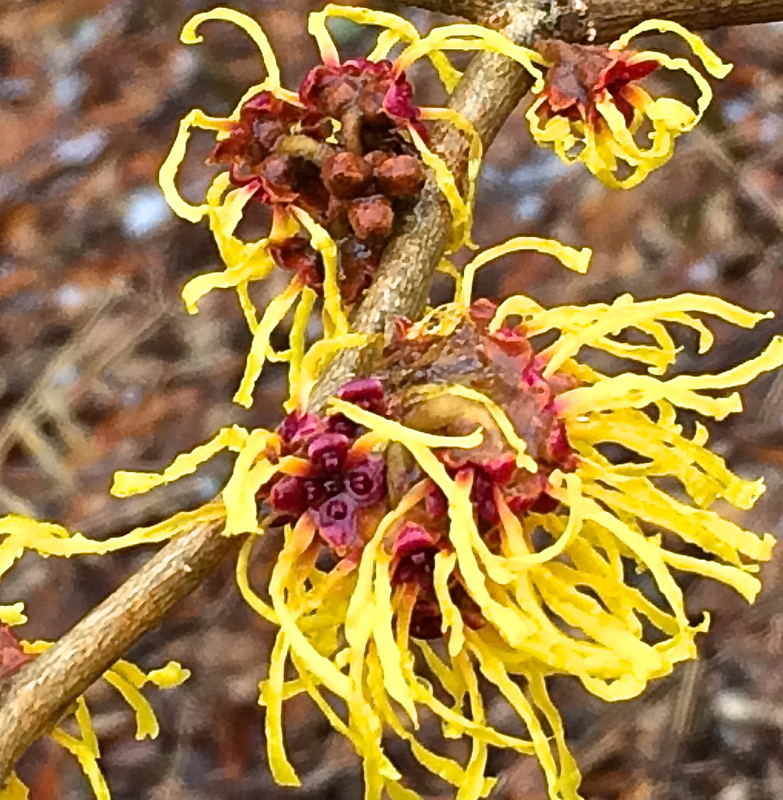 Treats Acne: Witch hazel is an effective, gentle, and natural way to treat acne or oily skin. Reduces Puffiness: If your eyes are puffy from crying or lack of sleep (or both), then soak two small cotton pads with witch hazel and put them over your eyes. 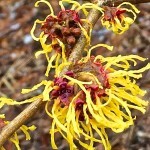 Diminishes the Appearance of Varicose Veins: Soak a thin cloth in witch hazel and lay it on your varicose veins. Applied daily, this is a natural (and cheap) way to reduce the appearance of varicose veins. Helps Heal a Bruise: Witch hazel is amazing when it comes to healing bruises. Again, soak a thin cloth in witch hazel and apply it to your bruise several times a day until the bruise is gone. Cleans Wounds: It cleanses the skin of germs and bacteria, and also soothes inflammation. You can use witch hazel to cleanse any wound or scrape, big or small. Stops an Itch: If you’re trying not to scratch anything, from chicken pox to poison ivy to a sunburn, soak a cloth or cotton ball with witch hazel and rub it on your skin. Refreshes Your Skin: Soak a cotton pad with witch hazel and use it to cleanse the oil, dirt and impurities from your skin — and tighten your pores. 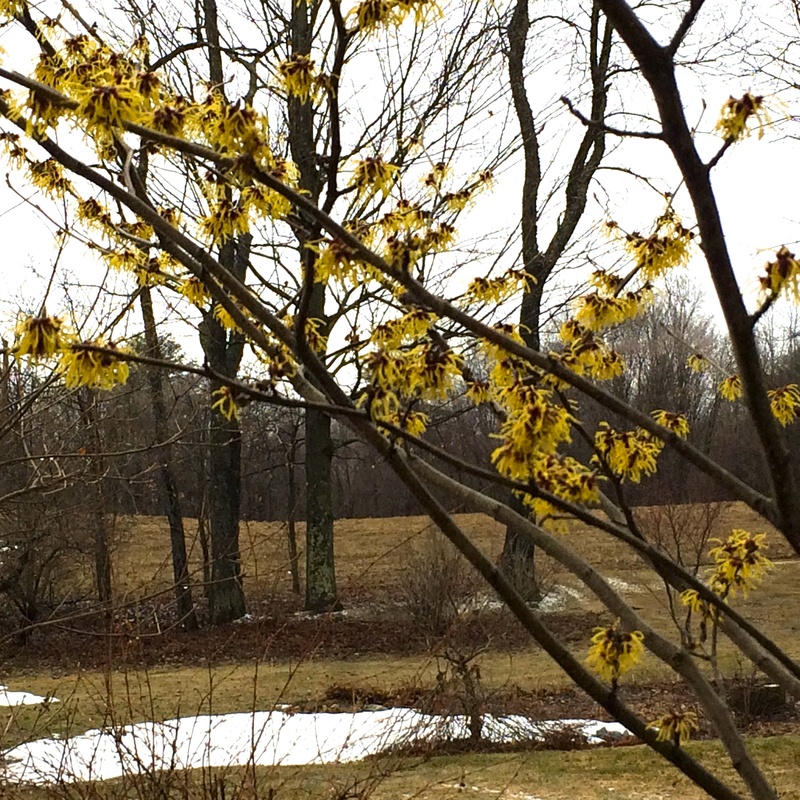 Seals in Moisture: Although witch hazel does remove oils from your skin, it won’t dry it out like other commercial astringents. When you use witch hazel right after a shower it will actually help seal in moisture, which is wonderful if you have dry skin in the winter months. I purchased a bottle of witchazel a few ago. 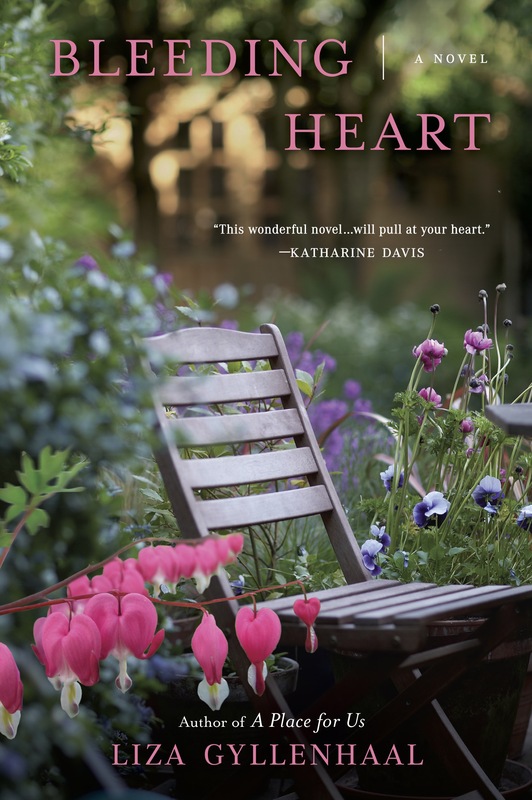 I was surprised to see that it has become much more valuable than its neighboring shelf buddies, isopropyl alcohol and hydrgen per oxide( the expected duo in every self-respecting american medicine cabinet. Thanks to your article I understand how valuable Witzchazel can be and that it I now have a multi-purpose beauty/ health aid in my closet. I am curious though. Is the true floral scent similar to that of theiquid in the clear plastic bottle? Thanks, Lois. The actual scent is somewhat hard to describe — spicy, but also sort of powdery, a bit like Coco perfume in a talcum powder form, perhaps? I buy the unscented Thayers, so I can’t really compare. useful. Thank for a bit of unusual inspiration!